The Honda CR-V is a compact crossover SUV that delivers a balance of style, versatility and comfort, along with a high level of safety technology. The five-passenger CR-V is available in both front-wheel and four-wheel drive configurations, each with a choice of four trim levels: LX, SE, EX and EX-L. All trim levels are powered by a 180-hp 2.4-liter inline four-cylinder engine, paired with a five-speed automatic transmission. The LX is equipped with 17-inch styled steel wheels, a CD player with MP3 capability and air conditioning. The SE adds alloy wheels, privacy glass and a six-disc CD changer. A power sunroof, security system and speed sensitive wipers are included with the EX, while the EX-L is further outfitted with heated front seats, leather upholstery, automatic climate control and satellite radio. Standard safety features on every CR-V include anti-lock disc brakes with brake assist, Vehicle Stability Assist with traction control, front seat-mounted side airbags, front and rear side curtain airbags, active front head restraints and a tire pressure monitor. 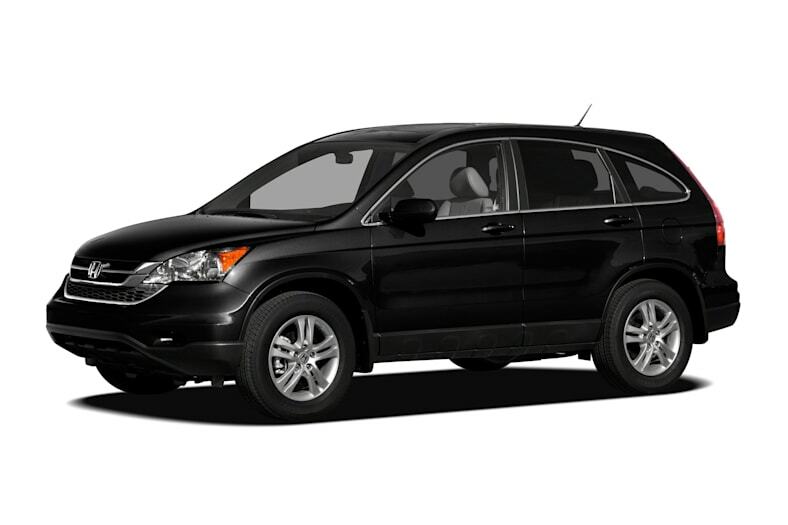 The 2011 Honda CR-V carries over from 2010 with the addition of the SE trim.